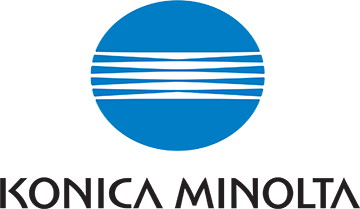 Worldwide, Konica Minolta is one of the top information technology companies. Our proven experience is helping customers streamline workflow, improve output and IT infrastructure, reduce costs, and strengthen their commitment to environmental protection. As an employer, our goal is to partner with individuals who want a career – not just a job. We offer a unique combination of competitive compensation; comprehensive product training and professional development programs that will help you enhance your professional skills. You’ll also discover the winning spirit that makes KMBS a great place to work; we offer a fun, energetic and fast paced sales environment where achievement is rewarded. If you’ve been working in outside, business to business sales, have a proven track record and a desire to continue building a successful career, you’ll have that opportunity as a Senior Account Executive at Konica Minolta. A career in sales at KM provides opportunities to work in a team environment and is ideally suited to individuals who enjoy networking at all levels. We provide best in class training- in classroom, web-based and on-the job; having earned a college degree will be an asset. Prior experience in the digital imaging industry is a plus, but, if you have strong communication, interpersonal, time management and organizational skills, along with the personal integrity and professionalism needed to succeed, now is the time to consider Konica Minolta Business Solutions. Ongoing professional development training including access to online Harvard Manage/Mentor courses.